This Library Contains an Unusual Book. Can You Say What It's About? In this week’s Sunday Puzzle, we’re heading to the library. But not just any library. 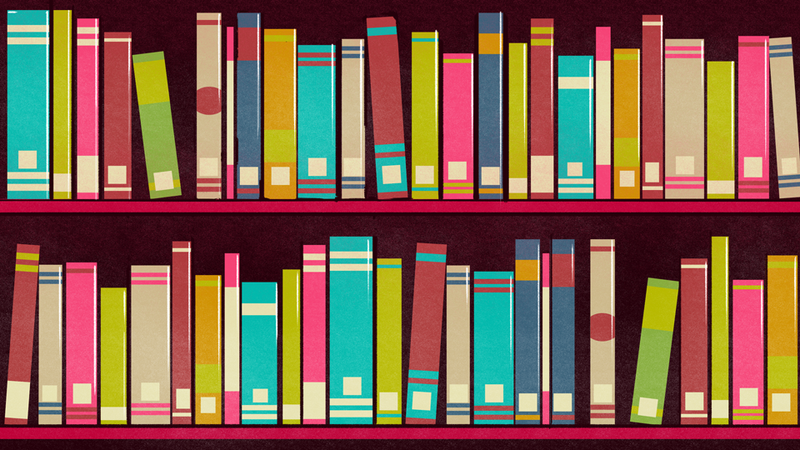 In a certain library, no two books contain the same number of words, and the total number of books is greater than number of words in the largest book. How many words does one of the books contain, and what is the book about? Why must there certainly be at least two people in the world with exactly the same number of hairs on their head? Two weeks ago, I posed to you three straightforward puzzles that many people nevertheless answer incorrectly. All three were chosen from What is the Name of This Book?, an outstanding collection of math, logic, and paradoxical puzzles by Raymond M. Smullyan. The solutions appear below. An old proverb says: “A watched pot never boils.” Anyone who’s bothered to test this proverb themselves knows the statement to be false; a pot placed on a hot stove will eventually boil, whether it’s watched or not. But what if we modify the proverb? What if, instead, it says: “A watched pot never boils unless you watch it.” Stated more precisely, “A watched pot never boils unless it is watched.” Is this statement true or false? certainly watched, whether it boils or not. (2) This man’s father is myself. Suppose, in the above situation, the man had instead answered: “Brothers and sisters have I none, but this man’s son is my father’s son.” Now whose picture is the man looking at? The man is looking at a picture of his father. Contact the author at rtgonzalez@io9.com or @rtg0nzalez. Illustration by Jim Cooke.